OTPbusiness now has an option that allows SMEs to apply for a bank account online, significantly shortening the account opening process. The main expectation of the online bank account opening process was not only to meet statutory and bank obligations, but also to meet customer expectations to the highest degree, becoming a source of customer satisfaction. We helped OTP business shorten and design an online account application process geared towards SMEs deploying agile methodology. 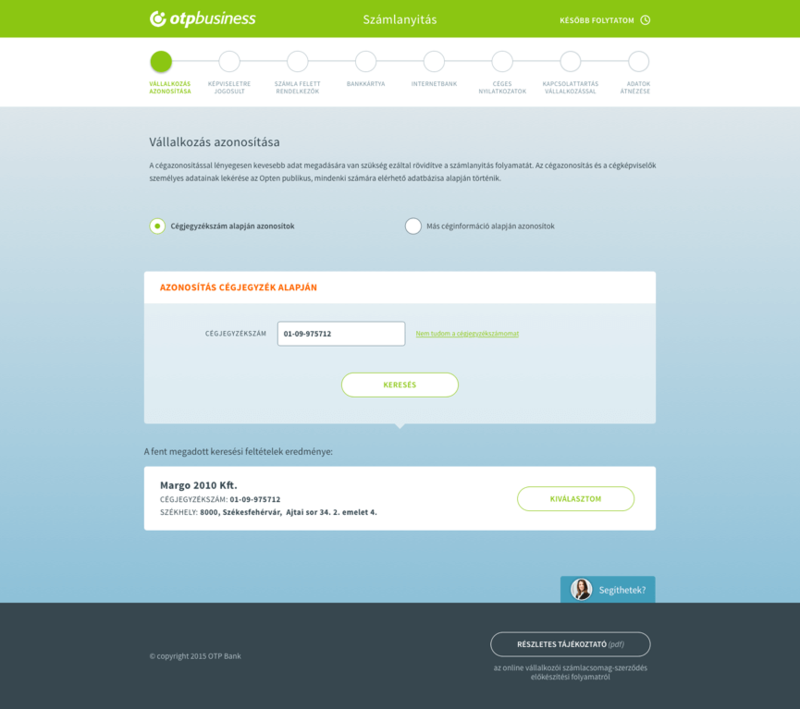 Using the inputs from weekly user tests and consultations with the business side, we continuously fine-tuned the wireframes and after finalization, provided a fresh design. We also checked the outcome of the design process using eye tracking. The first step of the online application involves recommending an account package suited to the inquiring customer’s Banking practices following a brief survey. The main features and costs of the different account packages are immediately displayed, allowing them to compare. All information on the specific account package can be accessed easily and quickly on the pages presenting each account package. Even before starting the application, the bank account opening procedure is clearly defined, including how long it will take and what documents are needed. When designing the application process, we strived to create not only a logically structured process, but also to show the progress at each stage. By optimizing the process, an application for a small business bank account can be done in just a few minutes. In close cooperation with other bank units, we have streamlined and created a logical sequence for the required data for every type of business. 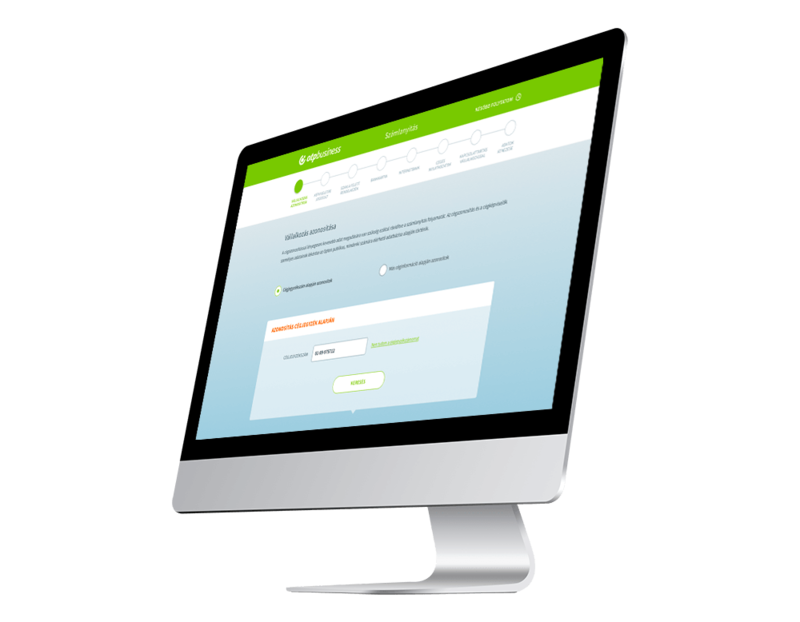 We used default data to speed up the data entry process and to make things easier for users. We also optimized information entry methods. To make completion even easier, once the business has been identified, many fields are completed in advance with data from publicly accessible databases and the customer has to check their accuracy only. The online application process can be suspended at any time and safely resumed later without losing any of the entered data. 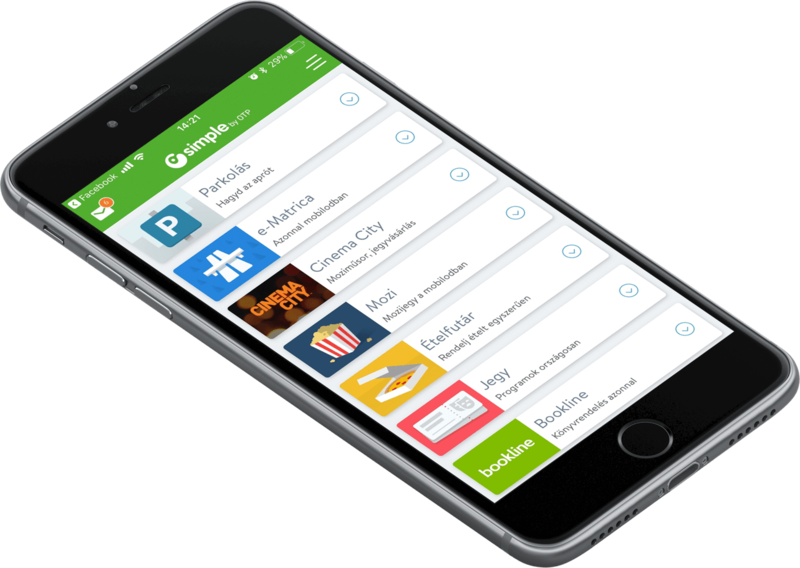 “Simple by OTP Bank” is Hungary’s No.1 mobile payment app for cashless payments with 550,000+ downloads and 1 million+ transactions. However, as a Fintech-focused product design agency, we are particularly proud of the user ratings: 4.8 (App Store) and 4.5 (Google Play). The app also won the Most User-Friendly Finance App award in 2017. We provide full-blown next-generation mobile banking solutions for sales-oriented banks. 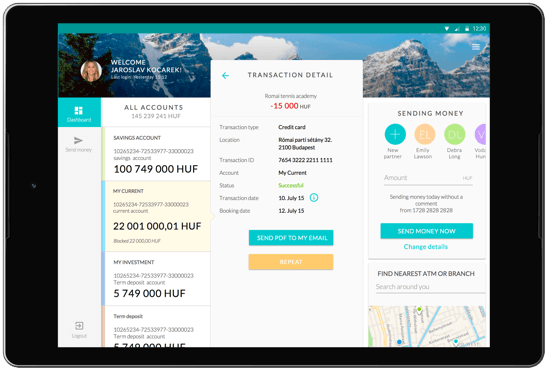 We have created a seamless banking experience across dashboard overview, cross-sell-focused user-centric interfaces, banking services, and push notification services. The mobile banking app is adopted by several commercial banks.